Not only do you get top-of-the-line facilities at Boar's Head, but junior players also receive elite instruction starting as early as pre-kindergarten and continuing all the way to collegiate levels. We have a healthy and ongoing tennis program, so come out and enjoy the fun with a vibrant group of instructors and participants. Nike Tennis Camps are coming to Charlottesville and the Snyder Tennis Center on the grounds of the University of Virginia, and this is your chance to take advantage of one of the best tennis facilities in the east along with a elite-level instructional crew led by coaches from the top-ranked UVA tennis program. There will be four weeks of overnight and day (8:30am-5:00pm) tennis camp sessions for campers ages 9 to 18. Led by Director Jon Sarosiek, along with UVA Head Men’s Tennis Coach, Andres Pedroso and Associate Men’s Coach, Scott Brown these camps are will be action packed and loads of fun. Campers will stay on grounds at the UVA dorms and utilize the Snyder Tennis Center Courts. For full details about these high-energy camps including pricing and instruction information, visit the official registration site. The Net Generation Tennis format (a USTA initiative) works by getting kids into the game immediately and progressing them based on their ability. For kids who have never played, within the first hour of stepping onto the court they are actually playing the game, rallying with one another, moving around, and having fun. Kids who have played before are challenged with an ever-increasing playing surface and balls that progress towards a standard ball. Please join us for the 5-week sessions of Net Generation Tennis Camp this summer. You can choose from the Monday/Wednesday session, the Tuesday/Thursday session or the Monday through Thursday option. Please see the following sheets for hours and prices. The Futures Tennis Camp serves a dual purpose. First, it provides beginner players with the ability to get introduced to the game of tennis. 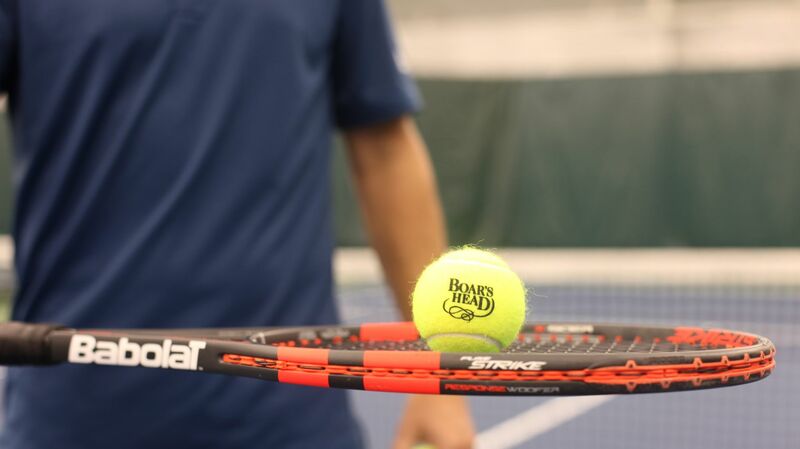 Lessons will be personalized so that each participant will be put in a position to succeed so that they can advance their tennis aptitude, thus creating life-long tennis players. Second, intermediate players will hone their skills and learn concepts that will allow them to progress to the next level. The Futures Tennis Camp fosters a learning environment that balances tennis fundamentals within a fun, interactive atmosphere. Please join us for the 5-week sessions of Futures Tennis Camp this summer. You can choose from the Monday/Wednesday session, the Tuesday/Thursday session or the Monday through Thursday option. Please see the attached sheet for hours and pricing. Participants in this Camp show a desire to play competitive tennis at a high level. They are committed to achieving a sectional ranking, competing on a High School Team and/or looking to play tennis at the college level. In the Challenger Academy/Drills Camp, participants will work on advanced stroke techniques, shot selection and developing points. The Camp will consist of feeding and live ball drills that will tailor to individual needs. This Monday through Friday Camp will provide participants with all the tools necessary to reach their potential and the confidence to use these skills in tournament settings. In the Team Tennis/ Match Play Camp, participants will work on their match play skills. This Monday through Friday Camp includes the Jefferson League component, which will take place every Thursday at 1:00pm. The Jefferson League is a city-wide Junior League between Tennis Clubs. Each week, the Junior players at BHSC will compete against a different Club in the area (home or away). This Camp is a great way to gain match experience and work on strategy and tactics.